Well maintained 3br, 2ba family brick home nestled in the mature trees with a backyard perfect for entertaining that includes in-ground pool, fire-pit area, deck to BBQ and new peek a boo fenced yard. Build a new shop and still have room for a garden! Home offers large open floor-plan and split bedrooms and an abundance of natural light. Master is very large with access to patio. 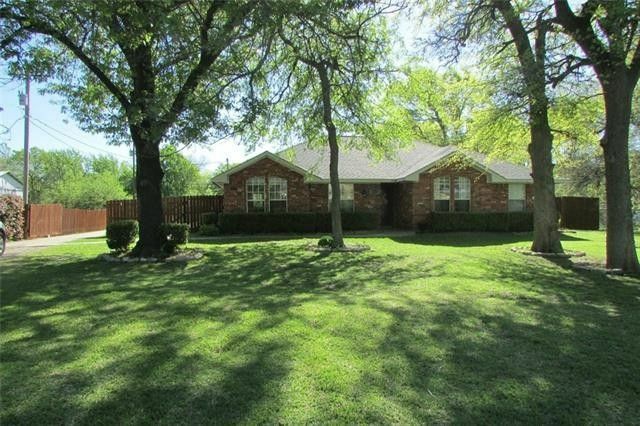 Located walking distance to the high school and convenient for Metro-Plex commute. A MUST SEE !! Friendly, family pet ANNIE has a boundary collar on and will bark, call her by name, treats are on kitchen counter. Directions: Whitewright towards Spring Market Grocery, turn onto FM 898, Property is 1st home on you right.